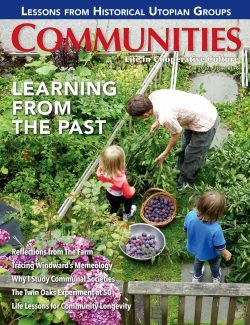 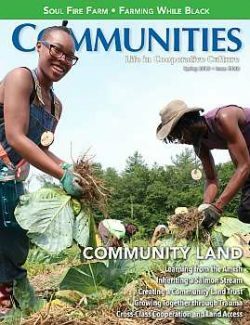 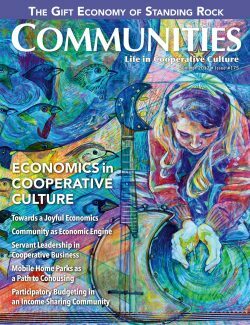 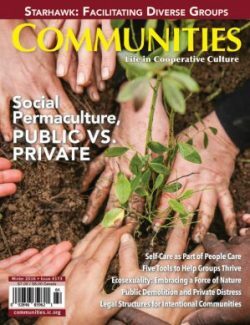 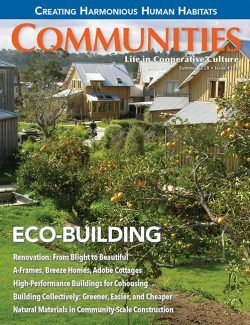 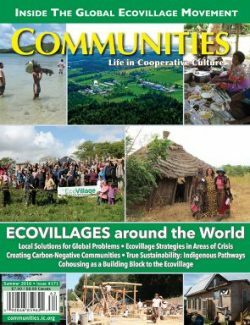 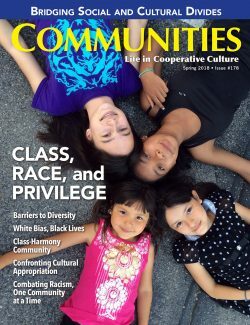 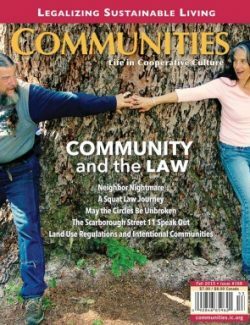 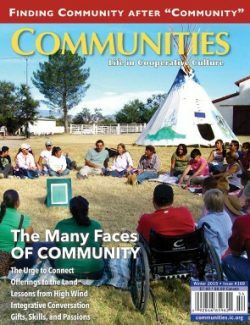 Since 1972, Communities magazine the primary resource for information, issues, stories, and ideas about intentional communities, cooperative culture, and bringing community into daily life–both in North America and around the world. 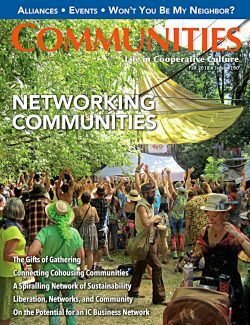 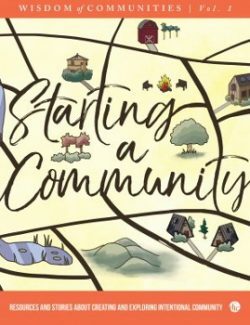 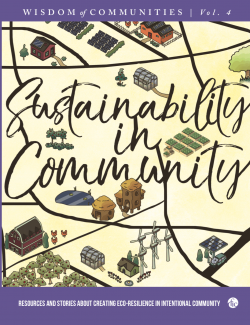 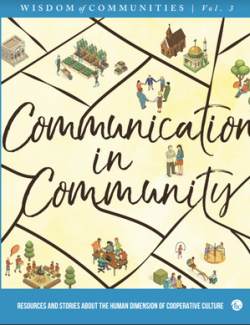 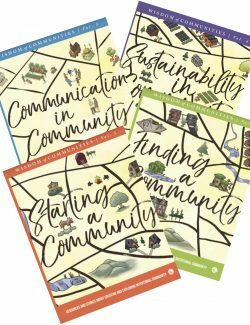 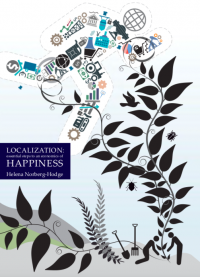 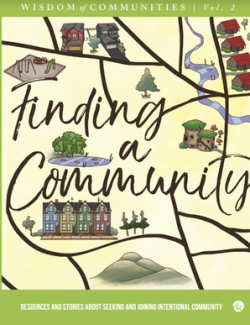 Our 80-page quarterly magazine is chockful of information, inspiration, and personal stories about how to build and sustain community–whether an ecovillage or a neighborhood; whether a cohousing community or a workplace. 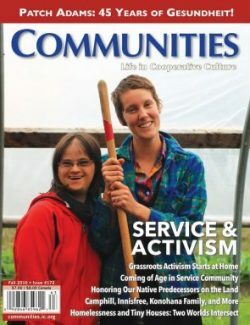 We help you where you are. 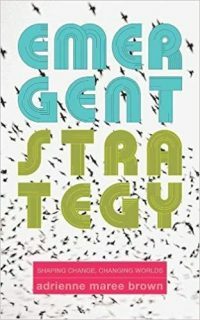 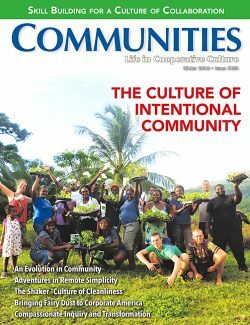 Our articles examine the successes and also the challenges, highlighting the invaluable lessons learned along the way. 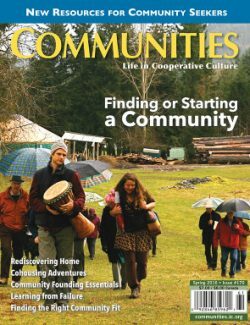 If you are part of a group, we can help you live and work together more cooperatively; if you are an individual or family looking for community, we can inspire your search. 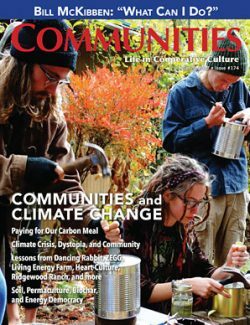 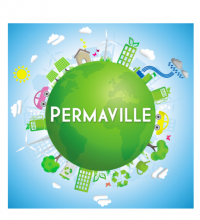 Each issue is organized around a theme–recent ones include Ecovillages, Diversity, Spirituality, Permaculture, Right Livelihood, and Intimacy. 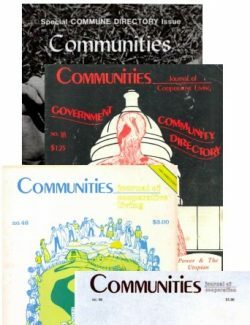 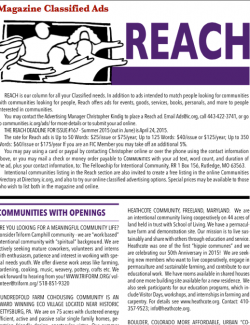 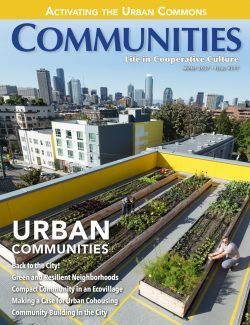 See communities.ic.org to read a selection of articles from each issue and for information about advertising, submissions and more. 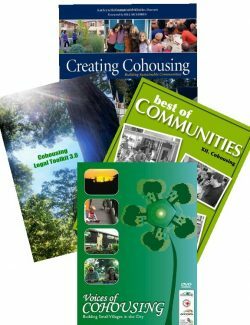 View cart “Cohousing Essentials Bundle” has been added to your cart.